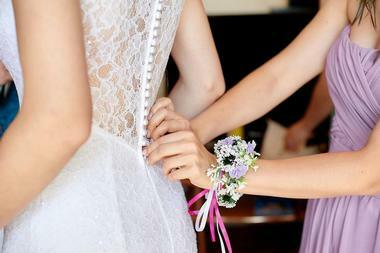 Weddings are such beautiful events and are often filled with flowers, stunning decor, and a romantic setting that adds to your “happily ever after.” In reality, planning and executing a wedding ceremony and reception flawlessly can be stressful and might make you seriously consider eloping to Vegas. 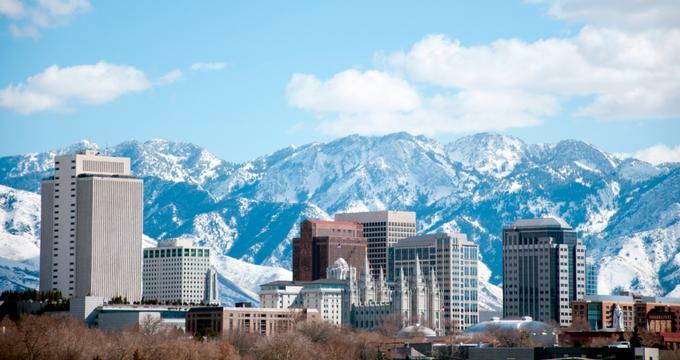 Luckily, if you’re in Utah or are planning a destination wedding in the Beehive State, the following list of wedding venues have you covered from A to Z. No matter if you want to be a hands-on bride selectively picking each vendor or whether you want to hand it over to the professionals and just enjoy being engaged, there’s a venue on this list that will take care of you. Arbor Manor Reception Center & Garden is a popular choice with brides when it comes to planning a wedding in Salt Lake City, Utah. The venue offers full flexibility for you to bring in the caterers, decorators, and wedding vendors of your choice so that the day truly reflects your imagination and style. The full-service wedding coordinators can also take the stress of planning a beautiful wedding out of your hands and help you to put together a lovely reception complete with in-house decor and design ideas. As brides descend the gorgeous staircase to walk down the aisle or have their first dance as man and wife under the romantic globe lights in the Grand Ballroom, they’ll know they made the correct choice with Arbor Manor. 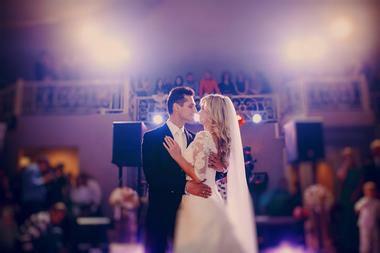 A premier wedding venue in Utah, Aspen Landing is one of the most welcoming wedding reception centers in the state. 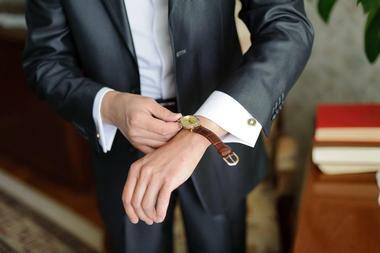 The simple elegance offered at Aspen Landing make it one of the most renowned spaces for brides and grooms. Everything in the custom-built reception venue and lush private garden area exudes a classic style that is often hard to come by. Little touches, such as the rustic fireplace and the baby grand piano, add dimension to the already stunning site and make for perfect accessories to your wedding photographs. Amenities such as a separate bride and groom dressing area are just the additional touches you need to make your big day simply perfect. 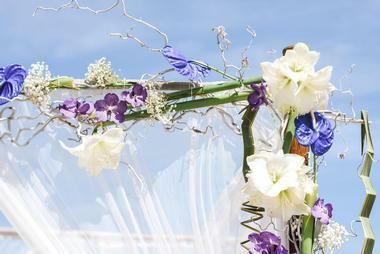 Atrium Weddings and Events is one of the most naturally beautiful wedding venues in Utah. 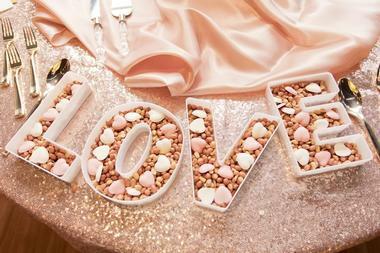 Invite your friends and family to the gorgeous location to celebrate your big day in the most memorable way possible. The natural and lush ambiance is the icing on the cake when it comes to planning a wedding here; other features such as their open vendor policy, self-catering allowance, and expert professional staff ensure that you get the best value when planning your celebration. Other services and amenities include a dedicated wedding planner, event host, secure parking, tables, chairs, beverage servers, and much more. The recently renovated Carmelle Reception Center is where all your wedding dreams can come true without breaking the bank. 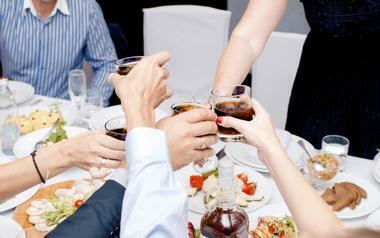 They ensure that the wedding celebration is memorable and enjoyable for the couple as well as their guests. The beautiful building is surrounded by an elegant atmosphere that is just right for stunning outdoor photographs to commemorate your special day. In addition to features such as a mahogany baby grand piano and a spiral staircase, couples will also get amenities such as dedicated bride’s and groom’s rooms, experienced catering and event staff, linens, access to audiovisual equipment, and a wedding consultant to guide you through it all. The Castle Park Weddings and Events Center is a full-service event venue that offers the bride and groom a stunning space and high-quality amenities at affordable prices. Their services include experienced catering, modern decor, award-winning wedding cakes, stunning floral arrangements, and access to a professional wedding planner who will guide you through it all. There are so many different options for the bride and groom when it comes to executing the wedding of their dreams, and Castle Park ensures that they don’t get overwhelmed during a time when they should be enjoying their engagement. 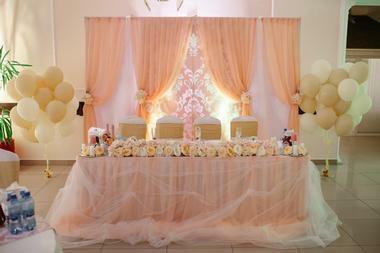 All packages include decor, centerpieces, linens, and a separate photo shoot before or after the wedding. 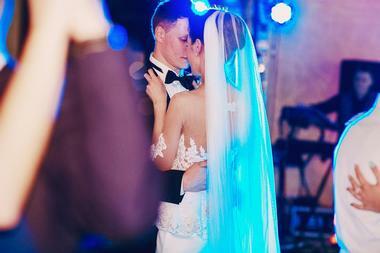 Chantilly Mansion has everything imaginable to ensure your wedding is one filled with class, elegance, and style. Inside the mansion, couples and their guests will be able to access a greeting parlor, the dining and dancing hall, multiple parlors for conversation and relaxation, and separate bride and groom rooms. The gardens are perfect for an outdoor ceremony and can also accommodate a dining area if couples choose to celebrate under the Utah sky. Amenities range from Chiavari chairs and ancient wood dining tables to complimentary centerpieces, audiovisual equipment, and other necessities. The professional staff will guide you through the entire process and include a facility manager, service staff, catering staff, and clean-up staff. Copper Creek Event Center is a simple and elegant wedding venue that Utah brides love to personalize to their own style because of the expansive space. There are two rooms to choose from: The ballroom can accommodate up to 170 people for a seated dinner and features gorgeous floors and a brilliant chandelier, while the Garden Room is better for more intimate celebrations and can host up to 62 people for a wedding dinner. 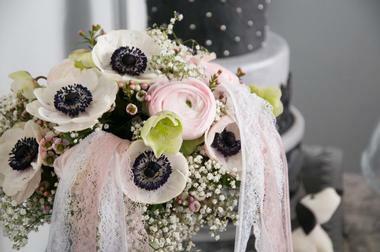 There are many wedding packages available and you can even build your own depending on what you need. All venue packages include tables and chairs, integrated audiovisual equipment such as speakers and projectors, access to a prep kitchen and ice machine, a venue hostess, and much more. Combining professional staff and elegant ambiance with an open vendor policy and competitive pricing, Ivy House Wedding and Events is a popular choice with brides in Utah. Simply rent the space and put together a package with everything you need for the professionals at Ivy House to help you execute. Wedding planners can assist the bride and groom to choose the right caterer, baker, florist, and other vendors, whom they can vouch for. 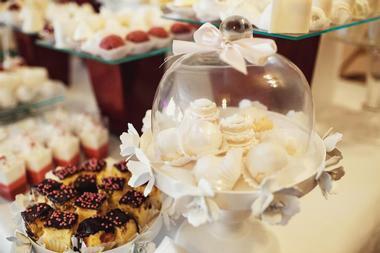 Amenities include linens, tableware, centerpieces, beverage servers, and a cake stand. 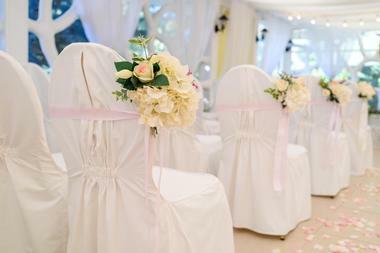 You can put together the wedding of your dreams, and Ivy House will be there to help you pull it off. Le Jardin is an indoor and outdoor reception center and wedding venue that has become a favorite with brides from all over. 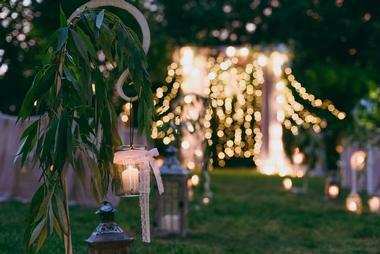 The beautiful gardens offer an enchanting paradise to have a truly magical ceremony that is both relaxing and memorable. The experienced staff will aid couples in coordinating caterers, musicians, and other vendors so that the planning process is as carefree as could be. 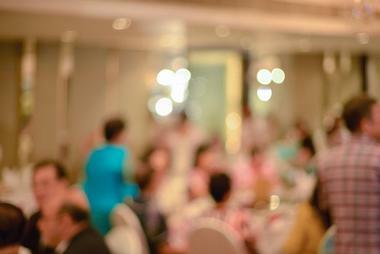 In addition to wedding ceremonies and receptions, Le Jardin is also perfect for rehearsal dinners the night before. There are so many spaces that you can make your own, including the spectacular gazebo, landscaped courtyards, and gorgeous fountains. 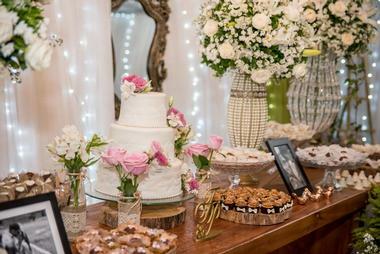 The Log Haven Restaurant is a spectacular mountain-side wedding venue that was voted “Couples’ Choice” by WeddingWire. Couples will be able to exchange vows and start their new life together surrounded by waterfalls and wildflowers. The idyllic destination truly showcases Utah’s splendor and even has a pristine lake for couples to use as a ceremony site. A personalized wedding planner with over 30 years of experience will guide you through the planning process and ensure that the big day is executed perfectly. Amenities included in their wedding package are a custom menu by award-winning chef Dave Jones, coordinated rehearsal space, separate bride and groom rooms, a day-of wedding event coordinator, audiovisual equipment, and complimentary use of the grounds for wedding photography. If you’re looking for an outdoor wedding venue that your guests will talk about for years to come, the memorable space offered at Louland Falls is right for you. Located within beautiful Parley’s Canyon, weddings at Louland are surrounded by picturesque vistas of the Wasatch Mountains. The venue is open seasonally from mid-April to mid-October so that couples and their guests will enjoy the wondrous natural setting. The on-site caterer is renowned for creating personalized menus that reflect your tastes; popular choices include the sweet and sassy chicken sliders, gourmet mac and cheese, chicken Napolitano, and the apricot walnut phyllo tarts. Celebrating your wedding at Magnolia Grove Reception Center is a decision you will be glad to have made for the rest of your life. Offering the warmth and charm of Southern hospitality along with the service and amenities of a modern-day event venue, Magnolia Grove is a premier choice for hosting your big day. Packages include use of the venue, gardens, and ample parking, a customized three-tier cake, seating for up to 98 guests (they can accommodate 270 people), and a wedding consultant. Additional perks also include choice of linen, centerpiece, dance floor, audiovisual equipment, a cake cutting service, and various other amenities. Memorial House at Memory Grove Park is an elegant and historic setting for a wedding ceremony and reception. It has been the gathering place of generations of locals and visitors since its inception in the 1920s. The stunning hall features a chandelier and fireplace and lets in natural light to give the entire venue a gorgeous look and feel. The outdoor space is set on a garden fitted with waterways and monuments that ensure you have the most amazing photographs of your wedding. 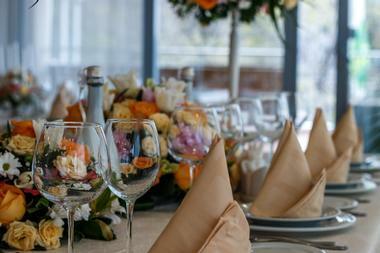 Memorial House can accommodate up to 300 guests and has ample space combined with exceptional service and amenities. Ensuring that your special event is always private, Millcreek Inn has long been the ideal location for couples to share their special day with their loved ones. Having hosted wedding ceremonies and receptions for over 20 years, the experienced staff will guide the bride and groom toward planning the perfect day. The venue can be found within a canyon surrounded by pines, wildflowers, and streams, all of which add a special touch to any celebration. Millcreek Inn is just minutes away from downtown Salt Lake City but has a serene and calm atmosphere that is illuminated by the architecture and such features as rustic wood and brick decor and romantic fireplaces. Millennial Falls Event Center focuses on the bride and groom having the wedding of their dreams, surrounded by friends and family in an unforgettable setting, all without the stress and worry related to planning and executing a wedding celebration. Hosting a wedding at Millennial Falls ensures that everything in the venue is solely for you on your big day – everything is inclusive of the price paid and there are no hidden charges. Customized packages can include everything from a fabulous buffet and wedding cake to invitations, ice sculptures, and other little details that may just slip your mind. Northampton House is a wedding reception center that is often called one of the most beautiful in all of Utah. The venue features original vintage architecture in its multiple reception spaces as well as a lovely garden for outdoor ceremonies. Another aspect of Northampton House is its renowned cuisine – couples and their guests will dine on some of the most delicious culinary concoctions offered in the area. If you want to ensure that you have stunning photographs of your big day, the beautiful landscaping, grand staircases, intricate moldings, stained-glass windows, and gorgeous hardwood floors ensure that you will. Pierpont Place is Salt Lake City’s premier wedding venue, and rightly so because the decor, structure, and atmosphere of this place is out of this world. The venue itself is a blank canvas that you can convert to the wedding of your dreams, and it can easily accommodate any style and decor that you choose to ensure it is a one-of-a-kind event. The experienced event and wedding staff themselves are experts on design, floral decor, and equipment rentals and can help you navigate through the area’s best venue partners. The classy and modern space can accommodate up to 200 people, and coordinators can help you pick the layout that is best for you. Utah’s premier wedding venue, Quiet Meadow Farm is a little patch of heaven on earth and has the perfect atmosphere for a romantic wedding celebration. The secluded working farm is surrounded by rolling fields and picturesque views of Utah’s countryside. 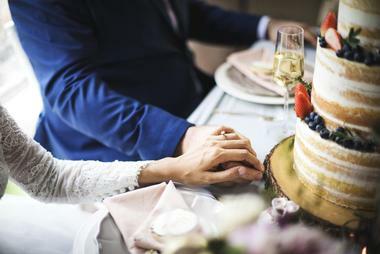 Couples will have the freedom to choose their own decorators, caterers, and other vendors to make sure that their big day is exactly how they want it. Couples can have an outdoor celebration on any spot that they feel is right for them or an indoor reception in the large barn on the farm. 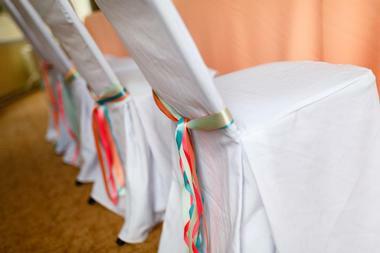 Additional services and amenities include tables in various sizes, chairs, linens, centerpieces, set-up and take-down, a full kitchen, and designated dressing areas for the bride and groom. Voted the #1 Wedding Reception Location, Sleepy Ridge Weddings is the perfect place to have a fairytale wedding to start your forever after. The breathtaking location is surrounded by panoramic views of Utah’s countryside and Utah Lake. There are several wedding and reception packages to choose from, and the professionals at Sleepy Ridge simplify the planning process so that you enjoy every minute of it. Couples can choose between renting only the room and bringing in their own vendors and caterers or picking an all-inclusive package offered by Sleepy Ridge. 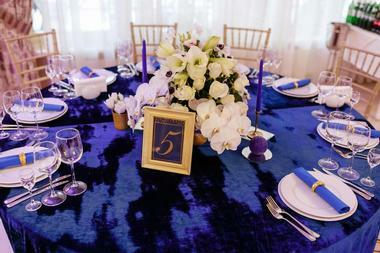 Packages include room rentals as well as linens, decor, catering, floral arrangements, and much more. An elegant venue that takes all the hassle out of planning a wedding, Stone Gate Weddings & Events is a stress-free all-inclusive venue that will leave you with more time to enjoy being engaged until the big day. 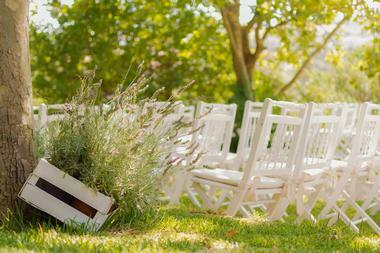 There are four venues to choose from, with a choice of celebrating indoors or outdoors. The Candlelight Chapel is perfect for the ceremony and has a historical charm that can’t be found anywhere else. The Great Hall is a wonderful choice for couples who want a bit of rustic elegance in their wedding and has a large stage that is perfect for the DJ or live entertainment. If you want something grander, look no further than the Grand Ballroom with its high ceilings and stunning chandeliers. Couples who decide on an outdoor celebration will adore the Hidden Grove, which is a quaint pavilion-style space with a rustic fireplace and charming lighting. An intimate venue like no other, the Brick Room at Big Door is located right in the heart of Provo. Their Main Room is a sought-after choice by many brides in the area, not only because of its unique architecture and decor, but also because of the enchanting and elegant aura that is exuded by the facility. The space can hold up to 72 people for a seated dinner and up to 125 people for a flowing reception. Prices vary depending on the day and time the venue is needed, and all packages include guest tables, banquet tables, folding chairs, table clothes, surround-sound audio system, and audiovisual equipment such as projectors, screens, and televisions. One of Utah’s most pristine wedding venues, the Canterbury Place is perfect for brides who want to create their own look. There are so many options when it comes to decor, floral arrangements, personalized menus, and much more – and the professionals at Canterbury are there to guide you through it all. The premier venue is spacious and elegant and will work within your budget to make sure that your big day is exactly how you dreamed it would be. All reception packages include exclusive rental of the Grand Ballroom as well as access to the lobby, dining room, gardens, and the designated bride and groom suites. 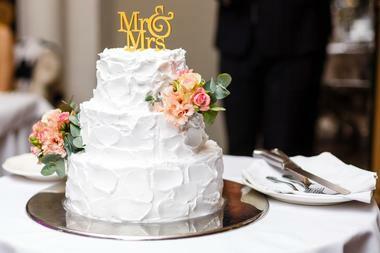 Menus can be customized to meet the dietary restrictions and tastes of the couple and their guests. The Loft at Brick Canvas is a gorgeous wedding space that will leave your guests stunned on your big day. 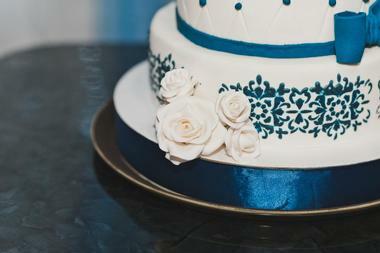 The wedding venue has many packages to choose from, all of which are flexible to personalize to your own needs. There are two spaces you can make your own: The Traverse Room or the Saratoga Room. Amenities and services that are included with your wedding package are tables and chairs, linens, customized decor, audiovisual equipment, on-site prep space for the caterer, and the flexibility to work with your favorite vendors. In addition to that, the bride and groom will also receive special pricing for pre- or post-wedding massages and other services at their in-house Sage Leaf Salon & Spa. The Startup Building Event Space has become a renowned location for ceremonies and receptions held in Utah’s Provo area. Gorgeous and perfect for any theme or style, The Startup makes it incredibly easy to plan and execute the wedding of your dreams by being professional and flexible and going out of their way to assist you. There are different packages depending on when you want to have your wedding, and amenities included with the packages are exclusive full day use on the day of the event, chairs, tables, audiovisual equipment, lighting, a designated catering area, a cake table, and 3,200 square feet of space to design the way you like. 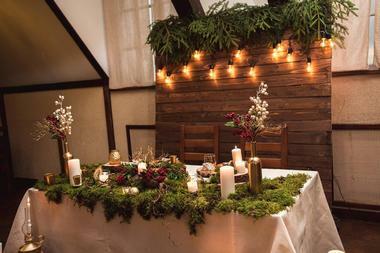 The Woods on Ninth is a stunning reception venue found right in the heart of Midvale, Utah. The Woods prides itself on being an easily accessible, scenic year-round destination for brides and grooms to host their special day. Whether you want an elegant garden wedding in the outdoors or something stunning in their elegant indoor hall, the Woods on Ninth has a space just right for you. In addition to the beautiful surroundings, they also provide a complete range of amenities that make your wedding a stress-free and enjoyable event for you and your guests. 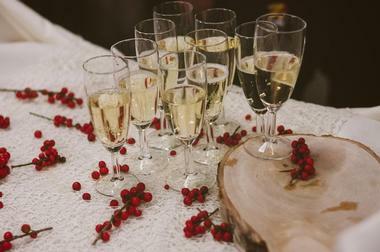 Couples can turn to the Woods not only for their ceremony and reception, but also for engagement parties, bridal showers, and rehearsal dinners.